Ian “Macca” Macfarlane & Greg Hunt: set the Coalition up for an electoral hiding in order to save their mates in the wind industry. 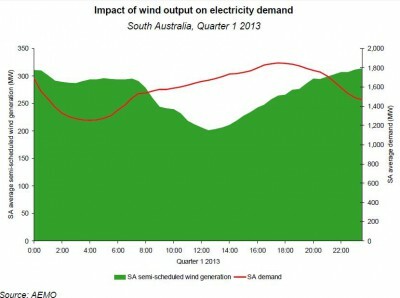 The wind industry in Australia is doomed. Australia’s commercial lending institutions know it (calling in their loans and refusing to lend for any new wind farms). And the wind industry knows it – hence the big players’ frantic efforts to ditch their wind farms, cut and run – although these fire sales are as much a product of their bankers’ refusal to extend credit (see our post here). The big power retailers know it (see our post here). And, from the panic exhibited in Canberra, every Federal MP knows it too (see our post here). However, in an effort to Keep Up Appearances, wind industry front man, young Gregory Hunt delivered a speech last week that not only defies reality, it almost defies measured description (we’ll do our best in a moment). WARNING: The speech comes with a public health warning: readers gifted with a modicum of knowledge of Australia’s energy market and/or commonsense are likely to experience sensations such as skin crawling; skin rashes; high blood pressure; and nausea. These sensations will not arise by reason of some “nocebo” effect: the greater the reader’s understanding of the debacle that is the Large-Scale Renewable Energy Target and the great wind power fraud, the more severe these effects will be. Accordingly, we suggest securing a suitably sized bucket, clean towels and some iced water before passing this point. You have been WARNED. Bill—by leave—and explanatory memorandum presented by Mr Hunt. The Renewable Energy (Electricity) Amendment Bill 2015 will implement changes to the Renewable Energy Target to better reflect market conditions and allow sustainable growth in both small- and large-scale renewable energy. The bill will lead to more than 23½ per cent of Australia’s electricity being sourced from renewable energy by 2020—not 20 per cent but 23½ per cent. It also addresses problems which emerged more than three years ago with the Renewable Energy Target. Despite the presence of the 41,000 gigawatt-hour target, it was unlikely that it would be met. First, there was a significant drop in electricity demand which occurred following the global financial crisis and it coincided with the closure of energy-intensive manufacturing plants. Together, they played havoc with wholesale electricity prices. This was compounded by rising retail electricity costs associated with the carbon tax, network charges and feed-in tariffs resulting in households and industry changing their consumption patterns. Second, the changes to the Renewable Energy Target introduced by the Rudd government and the subsequent creation of the phantom credit bank of what is currently 23 million certificates is still being felt today. This overhang continues to suppress demand for renewable energy certificates and stymie the signing of power purchase agreements. These combined to make it increasingly difficult for renewable energy projects to attract finance. Added to this, the increasing realisation that new subsidised capacity was being forced into an oversupplied electricity market made it likely that financial institutions would be approaching the new investments in the renewable energy space with significant caution and reluctance. It is in this context that we have sought to place the Renewable Energy Target on a sustainable footing and to overcome the legacy of the problems created by the phantom credit scandal. remove the requirement for Labor’s legislated biennial reviews of the RET. These changes will ensure that there is continued support for sustainable growth in the large scale renewable sector. And, the 33,000 target, I repeat, is higher in its ultimate effect than the originally conceived objective of 20 per cent, which was the purpose, the intended outcome and the stated objective of the original legislation. There will be no changes to the Small-scale Renewable Energy Scheme. The scheme will continue in line with household and small business demand. The removal of Labor’s phantom credit scheme federally and the rationalization of feed-in-tariffs at the state level have reduced many of the distortions outlined in this week’s Grattan Institute report. I am delighted that this bill is proceeding in a bipartisan fashion. This then leads me to the fact that the bill will adjust the large-scale renewable energy target, or LRET, to reflect the 23½ per cent target. We will therefore adjust the LRET from 41,000 gigawatt hours in 2020 to 33,000 gigawatt hours in 2020. It will adjust the profile of annual renewable generation targets from 2016 to 2030 so that the target reaches 33,000 gigawatts in 2020 and is maintained at 33,000 gigawatt hours per annum from 2021 to 2030. This target is separate to the 850 gigawatt hours that is to come from waste coalmine gas generation each year until 2020 under pre-existing transitional arrangements previously agreed between the parties. As highlighted in our energy white paper released by the Minister for Industry, Australia has an over-supply of generation capacity and some of that is aged. From 2009-10 to 2013-14, electricity demand has fallen by approximately 1.7 per cent per year on average. This is due to many factors: sadly, declining activity in the industrial sector; increasing energy efficiency, which is a positive for Australia; and strong growth in rooftop solar PV systems, which is also a benefit for Australia, which does, however, reduce demand for electricity sourced from the grid. While the Government welcomes a diverse energy mix in Australia, it also recognises that circumstances have changed since the original target of 41,000 gigawatt hours was set in order to achieve what had been hoped would be a 20 per cent outcome. This new target of 33,000 gigawatt hours directly addresses these issues and gives the industry an opportunity to grow. It represents a sound balance between the need to continue to diversify Australia’s portfolio of electricity generation assets, the need to encourage investment in renewables while also responding to market conditions, the need to reduce emissions in the electricity sector in a cost-effective way, and the need to keep electricity prices down for consumers. Most importantly, this new target of 33,000 gigawatt hours by 2020 is achievable. It will require in the order of six gigawatts of new renewable electricity generation capacity to be installed between now and 2020. Even at the adjusted level of 33,000 gigawatt hours, the renewable sector will have to build as much new capacity, on the advice that I have, in the next five years as it has built in the previous fifteen. This will not be an easy task, but, on all the advice we have, it is achievable and therefore real construction will occur. This new target will therefore be good for jobs in the renewable energy sector and, as I have said, lift the proportion of Australia’s electricity generation to approximately 23½ per cent by 2020. When the RET scheme was expanded in 2010, partial exemptions were introduced for electricity used in emissions-intensive trade-exposed activities. These were hard-fought and negotiated by the coalition. The exemptions only apply to the additional RET costs that were incurred as a result of the expansion of the scheme. The RET scheme regulations currently prescribe that electricity used in activities defined as highly emissions intensive and trade exposed is exempted at a 90 per cent rate, and electricity used in activities defined as moderately emissions intensive and trade exposed is exempted at a 60 per cent rate. This bill will increase support for all emissions-intensive trade-exposed activities to full exemptions from all RET costs—that is, from the costs of the original target as well as the costs of the expanded target. A full exemption will protect jobs in these industries and ensure they remain competitive. This has been of particular concern, as I mentioned earlier, to the members for Bass, Braddon, Lyons, Wannon and Corangamite—each of whom has played an extremely important role in securing this agreement between the parties. The reduction in the direct costs of the RET resulting from the lower large-scale renewable energy target will more than offset the impact on other electricity users of the increase in assistance for emissions-intensive trade-exposed activities. Reinstating biomass from native forest wood waste as an eligible source of renewable energy Native forest wood waste was in place as an eligible source of renewable energy under Labor’s own legislation until November 2011. The use of such native forest wood waste for the sole or primary purpose of generating renewable electricity has never been eligible to create certificates under the scheme. Eligibility was subject to several conditions, including that it must be harvested primarily for a purpose other than energy production. This is about the use of wood waste; it is not about cutting down biomass to burn. Consistent with our election commitment, as was set out in our forestry policy on the first page and further within the policy, this bill reinstates native forest wood waste as an eligible source of renewable energy under the RET, basing eligibility on exactly the same conditions—precisely the same conditions—as were previously in place under the ALP when they were in government. One of the objectives of the RET is to support additional renewable generation that is ecologically sustainable. We are reinstating, therefore, the provision allowing native forest wood waste as an eligible renewable energy source, because there is no evidence that its eligibility leads to unsustainable practices or has a negative impact on Australia’s biodiversity. This was the experience of the 10 years during which this provision was in place. We believe that the safeguards that were in place previously were, and are still, sufficient assurance that native forest wood waste is harvested and used in a sustainable way. The regulations were underpinned by ecologically sustainable forest management principles which provide a means for balancing the economic, social and environmental outcomes from publicly owned forests. In all cases, the supply of such wood waste is subject to the Commonwealth and state or territory planning and environmental approval processes, either within, or separate to, the regional forest agreement frameworks. Using wood waste for generation is more beneficial to the environment than burning the waste alone on the forest floor or simply allowing it to decompose and to produce methane—a greenhouse gas with very high global warming potential. Its inclusion as an eligible energy source is another contribution to the target. We understand that regular reviews of policy settings create uncertainty for investors, business and consumers. That is why this bill removes the requirement for two-yearly reviews of the RET. Providing policy certainty is crucial to attracting investment, protecting jobs, and encouraging economic growth. Protecting electricity consumers, particularly households, from any extra costs related to the RET, has been a priority from the start and the government understands that the 33,000 gigawatt-hour target remains a challenge for industry. For these reasons, instead of the reviews, the Clean Energy Regulator will prepare an annual statement on the progress of the RET scheme towards meeting the new targets and the impact it is having on household electricity bills. Again, this bill is about appropriately balancing different priorities; replacing the biennial reviews with regular status updates better meets the needs of industry and the needs of consumers, and any concerns within the parliament. It is about increased transparency at the same time as increased certainty. Importantly, both the government and the opposition have agreed to work cooperatively on a bipartisan basis to resolve any issues which may arise with the operation of the Renewable Energy Target through to 2020. Against that background I do wish to thank many people, beginning with the opposition. We have negotiated in good faith with Mark Butler, Gary Gray and Chris Bowen. I particularly thank my opposite, the shadow minister for the environment, Mark Butler, and his staff for their work. These negotiations can be difficult but I believe both sides conducted an honourable process, and this was an example of the parliament operating as a parliament for an outcome which will be, ultimately, beneficial to Australia. So I acknowledge and appreciate the work of my colleagues on the opposite side of the chamber. I want to thank my colleagues, in particular: Ian Macfarlane, whose knowledge of the electricity is peerless, not just within the parliament but arguably almost anywhere within Australia; the Prime Minister who, himself, proposed the compromise and suggested the notion of the Clear Energy Regulator providing the annual outdates—it was an important breakthrough and step forward and he engaged deeply in this process and was always seeking a balanced outcome; as I have mentioned, my colleagues Dan Tehan, Sarah Henderson, Eric Hutchinson, Andrew Nikolic and Brett Whiteley; and Angus Taylor, whose knowledge of the electricity sector and whose concerns for his electors were absolutely vital in helping us to achieve this outcome. He is a very informed individual and the parliament benefits from having another Rhodes Scholar enter this chamber. From within the Department of the Environment, David Parker and Brad Archer played a critical role throughout the review process. I thank Lyndall Hoitink and John Jende—whose knowledge of the Renewable Energy Act and the implications are extraordinary. Mark Scott, Candice El-Asmar, Kieran McCormack and Peter Nicholas all played critical roles. From the Clean Energy Regulator I thank Chloe Monroe, who performed an extraordinary role in executing the first Emissions Reduction Fund auction and also provided invaluable advice. She and her team are outstanding policy professionals. Although appointed by a previous government, we have proudly and happily continued her role. As far as I am concerned, she is invited to stay in the job for as long as she wishes to do it. She is really one of the great public servants in Australia. Similarly, she is supported by people such as Mark Williamson and Amar Rathore, both of whom have done a great job. At the Office of Parliamentary Counsel I thank Iain McMillan and his staff. From others who have contributed significantly there is Jessi Foran from Ian Macfarlane’s office. From within industry Miles George, as chair of the Clean Energy Council, and Kane Thornton, CEO of the Clean Energy Council, were indefatigable and fundamental in pressing the concerns and needs of their sector. This deal would not have been achieved without their work, and I honour and acknowledge it. Similarly, Miles Prosser, from the Aluminium Council; Innes Willox, from the Australian Industry Group; and Kate Carnell and John Osborn, from the Australian Chamber of Commerce and Industry, all played critical roles in helping to bring us to this point. Finally, I want to acknowledge two people from my office: my chief of staff, Wendy Black, whose counsel and guidance on every topic is really outstanding; and Patrick Gibbons, who is my senior adviser and whose knowledge of the electricity sector is surpassed only by that of Ian Macfarlane, who has spent hundreds and hundreds of hours helping to bridge the gaps between different parties. Again, this would not have been possible without him. To all of those parties I say thank you. Let me conclude by saying this: this bill is consistent with the government’s conviction that policy decisions must be based on sound economic principles and real-world experience. It also represents the government’s commitment to maintain stable and predictable settings that encourage growth, encourage competitiveness, encourage efficiency and that produce better outcomes for electricity consumers. The RET had to be reformed in response to changing circumstances. This bill achieves balanced reform. It will provide certainty to industry, encourage further investment in renewable energy and better reflect market conditions. It will also help Australia reach its emissions targets, and it will protect jobs and consumer interests. As the energy white paper points out, Australia has world-class solar, wind and geothermal resources, and very good potential across a range of other renewable energy sources. In addition to the support for small- and large-scale renewables, which this bill provides, the government is providing over $1 billion towards the research, development and demonstration of renewable energy projects. This bill recognises that renewable energy is an important part of Australia’s future, while also recognising that its deployment must be supported in a responsible way with minimal disruption to our energy markets. I thank all of those involved in reaching this point. I am delighted that we have achieved a sensible balance which will allow the industry to grow to 23½ per cent of Australia’s total energy production by 2020. Before we do, please note, we cannot rule out the possibility that the speech was in fact written in its entirety by the lunatics from the Greens. It is so far to the hard-green-left that it is unrecognisable as a statement purportedly emanating from a so-called Conservative government. Stomach churning content aside, perhaps we’ll start with a take on young Gregory’s “style” and “themes”. After ending world hunger, I’ll devote my life to helping poor, underprivileged Miles George to wallow in an endless stream of RECs. The gushing delivery reminds STT of the gorgeous Venezuelan gal who bags the Miss World title and who, on cue, reacts with welled-upped eyes, and hands-to-face (faux) surprise. Brushing away an alloy of tears and top-quality mascara, the winner hits us with her suitably ambitious manifesto. Starting with her wish list of an end to hunger; world peace; an end to disease and so on, the soon-to-be Hollywood starlet thanks all those that got her to the winner’s podium, from her personal trainer, her publicist, right down to her hairdresser. Of course, young Greg’s speech didn’t go so far. However, as to plausible realisation, Greg’s manifesto is on precisely the same footing. No-one in their right mind expects Miss World to follow through on her promise to save the world from hunger and disease etc. Likewise, there is absolutely no way that Greg’s ultimate annual 33,000 GWh LRET will be satisfied by the “due date” of 2020, or at all. Greg knows it; and so does everybody on his seemingly endless thank you list. For those new to this site, STT is all about smacking people with the reality that wind power is meaningless as a power source, because it can only ever be delivered at crazy, random intervals. In the absence of mandated fines on retailers and/or whopping subsidies to wind power outfits, the wind industry simply would not exist. The claim that wind power is “clean” and “green” is nothing more than a cynical marketing ploy; and a cruel hoax played on the gullible and naïve. Most of the line up on Greg’s “thank you list” have been in the game long enough to know precisely what’s going on, which tends to rule out their inclusion in the first category above. The inclusion of energy market lightweights, and economics illiterates, from the ranks of the Coalition – such as Disappointing Dan Tehan, Sarah Henderson, Eric Hutchison, Andrew Nikolic and Brett Whiteley is no surprise (none of them have the foggiest clue about the cost or operation of the LRET, the impact of Power Purchase Agreements on retail power prices, dispatch prices, grid stability etc, etc). Dimwits in politics are a dime-a-dozen; and this won’t be the first time that elected representatives chimed in with support for a policy that they haven’t got the faintest understanding of. The wind industry’s plants and stooges within Hunt and Macfarlane’s offices, like Patrick Gibbons (who’s best mates with Vesta’s former front man, Ken McAlpine). As well as wind industry shills like Chloe Monroe (and her gang from the CER). 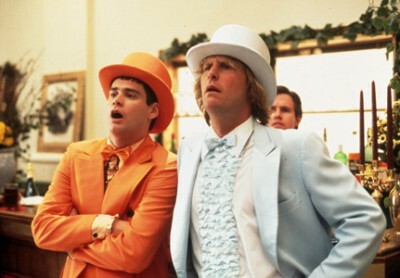 And the boys from the so-called Clean Energy Council, Miles George (who conveniently heads up Infigen – cutting down on lobbying time and costs) and head wind industry spin-master, Kane Thornton. Reports that Kane slept on a camp stretcher in Greg Hunt’s office during the weeks of negotiations cannot be confirmed. Ms Munro: There was one question that we just took on notice which I think I can now answer. It was about the cost of our subscription to the Clean Energy Council and our membership there. For the current financial year it is $14,520. I might just mention that we regard that as an important membership to have because of the very significant role the Clean Energy Council plays in disseminating information to its membership which assists with the overall regulatory performance of the industry. Also, as a member, we do not exercise our right to vote, for example, so we do not play any part in the decision making of the Clean Energy Council, for example, in the recent elections for the chair of the council. We would not take any part in that. We are very much at arm’s length from that. Hmmm … unfortunately for Chloe, her efforts to distance herself from the tens of $thousands thrown by the CER at the wind industry’s spin-masters, fell flat with her special mention in Greg Hunt’s thank you list, right next to Miles George and Kane Thornton. While the shills from the CER, CEC, Infigen & Co were obvious among those Hunt was bound to thank (although, as their very existence depends on Hunt’s efforts to save the LRET, they should all be thanking him) the inclusion of the PM, Tony Abbott and Angus “the Enforcer” Taylor on Hunt’s little list is a bridge way too far. Angus Taylor: not amused at being included in Hunt’s list. STT hears that Angus Taylor is close to furious about the manner in which Hunt and Macfarlane double-crossed their party on the terms of the LRET deal with Labor – and he’s not alone – STT hears that the PM is less than amused, too. Leading up to the deal, both Hunt and Macfarlane were under strict instructions to maintain the provision in the Renewable Energy (Electricity) Act 2000 (section 162) that provides that reviews of the mandatory RET must take place every two years; taking into account the cost and benefits of any recommendation made, as part of the review. Their colleagues, from the PM down, understood that the retention of two yearly reviews was a ‘deal breaker’. However, as evidenced in Hunt’s political suicide manifesto above, Hunt and Macfarlane ‘caved in’ (under the slightest ‘pressure’ from their wind industry mates); much to the disgust and horror of the majority of their party colleagues. 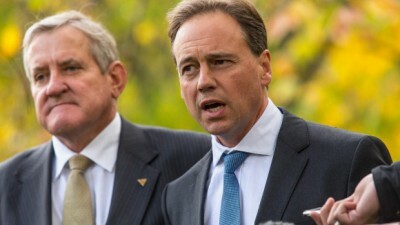 The two yearly reviews were understood by all those in the Coalition giving licence to Hunt and Macfarlane to cut a deal with Labor, to be a critical mechanism available to pull a halt to the runaway costs of the LRET, in general; and the ludicrous costs of wind power, in particular. The review process was set up to allow the government of the day to act on recommendations; such as scrapping the LRET in its entirety; or to deny RECs to wind power outfits, simply because the demonstrated and extraordinary costs of wind power (the key beneficiary of the LRET) completely outweighs any of its purported benefits. 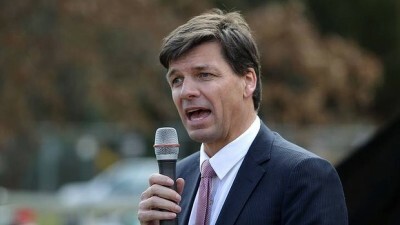 STT fully expects Angus Taylor (among others) to set the cat amongst the pigeons this week, by challenging Hunt and Macfarlane on their backdoor deal to drop the two yearly reviews, at the wind industry’s behest, among other things. Hunt, Macfarlane and the CER have given a “guarantee” to the PM that wind power outfits will easily build the capacity needed to generate the extra 17,000 GWh required to satisfy the ultimate annual 33,000 GWh target (thus avoiding the politically toxic penalty set under the LRET). However, that little “promise” is, again, more like Miss World’s promise to achieve world peace: something that everyone with a hint of common sense considers as pure nonsense. The other furphy being pitched by Hunt, Macca and the CER is that – provided the shortfall charge is avoided – the LRET carries absolutely no cost to power consumers at all (see the post above). However, if that were the case, why was Greg so pleased to announce that Energy Intensive Industries will be exempt from “all RET costs”? So which is it Greg? Is the LRET a family and small business ‘friendly’, that’s as cheap as chips and a guaranteed vote winner? Or is the effort to protect the Aluminium sector etc a dead-set giveaway, that – at $3 billion a year – the LRET is the largest, single electricity tax ever cooked up? STT hears that the finance sector has absolutely no intention of providing any money to build new wind power capacity. The expectation is that RECs will, in the longer term, trade in the order of $30, at which price wind power outfits will not break even, placing lenders at enormous and perfectly avoidable RISK (see our post here). STT hears that the major retailers are of the same view. Greg Hunt talks about “the phantom credit bank of what is currently 23 million [REC] certificates” – what’s called the “overhang”. Retailers, such as Origin, hold the bulk of those certificates and will be able to use them to avoid the shortfall charge, until they run out. That means that there is no need for them to enter long-term Power Purchase Agreements with wind power outfits to obtain RECs, for some time. One scenario involves those holding RECs simply hanging on to them until the penalty set by the LRET kicks in, such that they can cash them in at prices over $90 (many were purchased at $20 or less). STT also hears that the major retailers have no interest in wind power at all: remember, that commercial retailers have not entered PPAs with wind power outfits since November 2012. Wind power: if it’s there at all, it’s never there when it’s needed. As we’ve pointed out (just once or twice) wind power can only ever be delivered at crazy, random intervals (if at all); and is usually generated late at night, or very early in the morning, when there is little demand for power. The only reason retailers sign up to purchase wind power, is to obtain the RECs that come with the deal – power that can never be delivered on demand, is of no commercial value, otherwise. Solar power, on the other hand, is available almost every day during daylight hours and is, therefore, capable of satisfying demand, as it rises during the daytime. STT hears that the big retailers are planning to wait until they look like exhausting the pile of RECs that they’re sitting on at present, at which point they’ll build some large-scale solar power facilities, in order to obtain the RECs needed to avoid the shortfall charge. The retailers still believe that the politics of the LRET are inherently toxic; which will lead to its inevitable implosion (hence the belief that REC’s will end up at less than $30). By investing in a few solar panels, these boys will avoid the impact of the LRET penalty, in the short term. And, once the LRET implodes, they will be able to sell those panels for re-use by householders in domestic situations. And the implosion of the LRET is as inevitable as death and taxes. So, if you run into young Gregory, be the first to congratulate him on his speech. It’ll be the one that comes back to bite him and his team as the LRET disaster unfolds; power prices go through the roof; and householders and businesses realise that a government that they elected on a promise to scrap the Labor/Green Alliance’s business and economy destroying – and family punishing – “carbon” tax, set them up to pay for the most ridiculously generous corporate welfare scheme in the history of the Commonwealth. And all because Hunt and Macfarlane’s wind industry mates wanted it that way. So, Ian, with banks refusing to lend money for new wind farms, and retailers refusing to sign up to buy wind power, was it the smartest move to have guaranteed the PM that the LRET won’t go to penalty? That’s another ministerial reshuffle once the Morrison/Turnbull combo replaces Fumble and Comfy. I wonder if Tony and DDT know how many rural voters will make their feelings clear in the future at the ballot boxes. It all stinks and the smell is bad. The smell will follow them we don’t have short memories especially when we are suffering so much. FFS, the Clean Energy Regulator actually subscribes to the Clean Energy Council!!! It seems the litte piggies with trotters in the windscam trough are not restricted to the corporate or executive government sectors. BRING ON THE ROYAL COMMISSION to get to the bottom of this SUSTAINABLE STENCH. little piggies ???? … more like big PORKIES !!! So Greg and Macca I have to ask, why is retaining 80% (33GWh/41GWh x 100) of the RET disaster preferable to ridding Australia of this Ruinous Electricity Tax altogether? I am a bit puzzled and maybe mistaken, but wasn’t the RET ‘target’ a combined target which included both Large and Small scale RET. If I am wrong please feel free to say. If I am right what is the total of the two RETs combined? In this speech he says the LRET has been reduced to 33,000 but the SRET remains the same. Also, there’s no doubt who his mates are and how he loves them to visit him at work; and no doubt to socialise as well. He obviously had no time for those who tried to get him to see sense and draw back on the IWT industry’s hold on our lives. And to stop the sucking of our coffers dry by an industry which can never meet its declared output capacity. He never thanked them for their efforts anyway.